Assam NRC: In July, the NRC draft listed 2.8 crore people, leaving out about 40 lakh applicants. 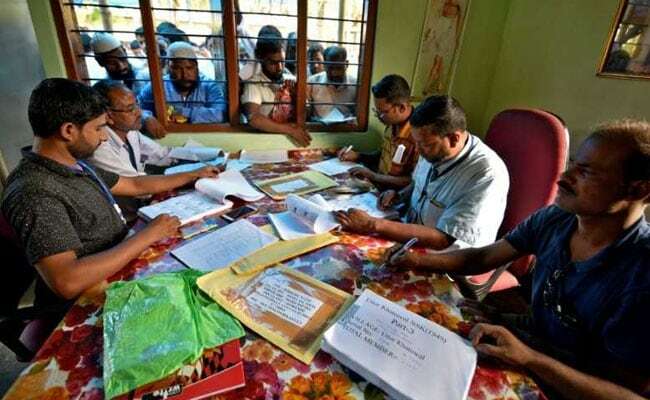 As the claims and objections window closes in a few days, just over 10 lakh people out of the total 40 lakh excluded in the draft of the National Register of Citizens (NRC) in Assam have been able to submit applications for the inclusion of their names in the final list. The rest have blamed the complexity of the process set by the Supreme Court which they say has made it difficult for them to prove their citizenship. The Assam government has approached the top court seeking an extension of the deadline beyond December 15. Chief Justice of India Ranjan Gogoi has assured that the court, which is supervising the massive exercise in Assam, will consider their request. According to the 2011 census, Assam's total population is over 3.11 crore. In July, the NRC draft listed 2.8 crore people, leaving out about 40 lakh applicants. The Supreme Court had said "claims and objections" can be submitted by December 15 and fixed a standard operating procedure (SOP). Initially, the top court had allowed 10 documents and the applicants could submit any one of them to prove their credentials, but on November 1, five more documents were added to the list, including the 1951 NRC, electoral roll up to March 24, 1971 and ration card. The NRC exercise, aimed at identifying illegal immigrants in the state that shares a border with Bangladesh, was carried out only in Assam. The state had 80 lakh citizens when the NRC was first prepared in Assam in 1951. The exclusion of 40 lakh people in Assam triggered a huge political controversy. BJP national president Amit Shah raked up the issue during his rallies in poll-bound states across the country. Describing illegal immigration as threat to the country, Mr Shah maintained the NRC is a way to solve the basic problems of the country. 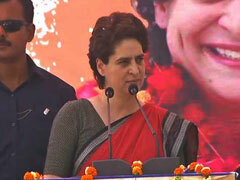 "This country is not a dharamshala (charitable home) that anyone can come and settle down here," Mr Shah said. In another rally, he promised ek ek ghuspethiye ko chun chun kar desh se bahar nikal denge (will identify each and every illegal immigrant and throw them out). On the other hand, West Bengal Chief Minister Mamata Banerjee alleged that "dirty politics" is going on in the name of NRC in Assam. She clarified that she was not against the Assam government, but she does not support the NRC. She has accused the BJP of resorting to "divide and rule" politics in the country and the Narendra Modi government of trying to make millions of people "stateless" in Assam for political gains. This could lead to "bloodbath" and a "civil war" in the country, the West Bengal chief minister warned.